CHRIS ANDERSON PHOTOS Belvidere Republican Blue Thunders’ Madison Directs (15) drives to the basket as Belvidere North traveled to Machesney Park on Nov. 27 to take on Harlem. Belvidere North is in first place after the first few weeks of the 2018-2019 winter sports season. Their 5-2 jump to the front includes a 2-0 record in the NIC-10. Early-season success has been built courtesy of recent wins over Harlem and Rockford Guilford. Matches such as those have the potential to help set the tone for how things could go in 2019 for the Lady Blue Thunder. Staying in front will be a season-long challenge though. There are some important games scheduled to be played over the next few weeks and early into next year, which will include matches against Rockford Boylan and Hononegah. On Tuesday, Dec. 4, Belvidere North played host to the Freeport Lady Pretzels. On Thursday, Dec. 6, Rockford East is home for the NIC-10 familiars’ get-together. 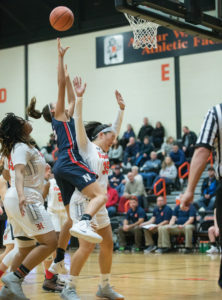 On Tuesday, Nov. 13, the McHenry Lady Warriors, who finished two wins shy of 30 last season, slipped away with the 55-49 decision in the Burlington Central Thanksgiving Invitational. Two nights later the Marengo Lady Indians won by 15. Belvidere North rebounded and won five straight, heading into the Saturday meeting with Guilford. 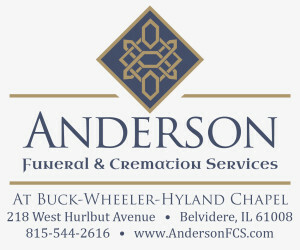 For complete article, pick up the Nov. 6 Belvidere Republican.